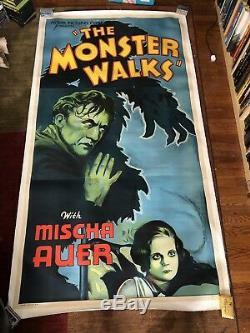 MONSTER WALKS ORIGINAL 1938 3 Sheet MOVIE POSTER Linenbacked. 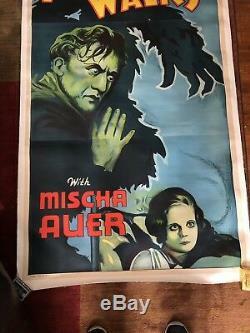 Such great artwork and the color really pops on this. Linenbacked and ready to frame. 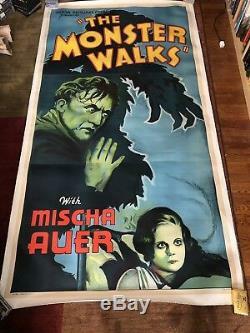 The item "MONSTER WALKS ORIGINAL 1938 3 Sheet MOVIE POSTER Linenbacked" is in sale since Friday, January 25, 2019. 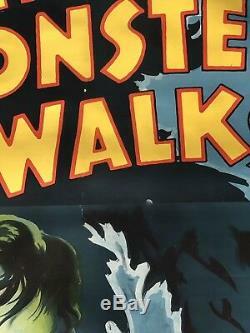 This item is in the category "Entertainment Memorabilia\Movie Memorabilia\Posters\Originals-United States\Pre-1940". The seller is "uglyfug" and is located in Franklin Square, New York. This item can be shipped worldwide.